Our province is beautiful – and expansive – making driving necessary to get where we need to be. Whether it’s grabbing your commuter cup full of piping, hot coffee and heading to work in the morning or piling the kids in the car and heading to soccer practice or the rink, driving is a fact of life for most. For those who are career drivers, like bus, taxi or delivery drivers, or even those who just live a go-go lifestyle, back pain can be an unfortunate side effect of living on the open road. Professor Mark Porter, of Loughborough University in the United Kingdom, has found that absence from work because of back pain is six times higher for drivers who are at the wheel for more than four hours a day. Four hours a day may seem like a lot, but when you think about it, all those little trips you make in a day add up quickly. What causes back pain when I drive? How can I ease my back pain while driving? Use a lumbar support – A lumbar support, which is essentially a cushion for your lower back, can go a long way in preventing pain. You can purchase one specifically made for driving or it can be as easy as using an old couch pillow or a rolled up towel. 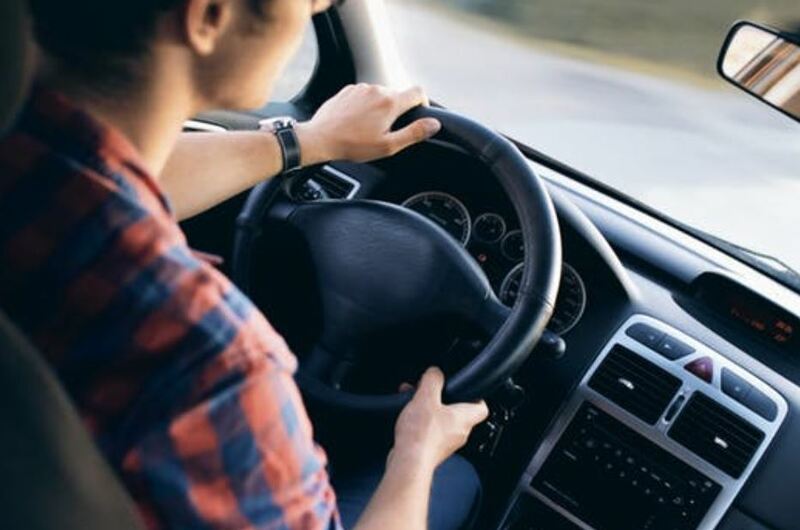 Move your seat forward – Getting as close as you can to the steering wheel, without it being uncomfortable, is the optimal driving distance to prevent back pain. This way you aren’t slouching and also not straining yourself to reach the pedals. Adjust your hands on the steering wheel – We were all told by our driving instructor, “keep those hands at 10 and 2,” over and over. This was definitely true when we were 16-years-old and trying to get our licence, but isn’t true when we are looking to alleviate back pain. With the invention of airbags, research has found that your hands should be at 9 o’clock and 3 o’clock. This allows you to rest your elbows on the armrests, which can help ease pain, especially in the upper back. Stretching – Stretching it out (perhaps with the Straighten Up Canada program), before hopping in the car is a great way to prevent driving related pains from creeping up. Getting out and stretching every half-hour or so will alleviate some of your pain if you can spare the time or if you know you’re going to be in your car for a long time throughout the day. You can always see your chiropractor if you are still unsure about how to prevent and alleviate back pain. Your chiropractors is an expert in the diagnosis and treatment of conditions of the musculoskeletal system (the body’s bones, muscles, cartilage, tendons, joints and connective tissue). Your chiropractor will first assess your back’s current condition and then develop a treatment plan for you to help ease your pain.